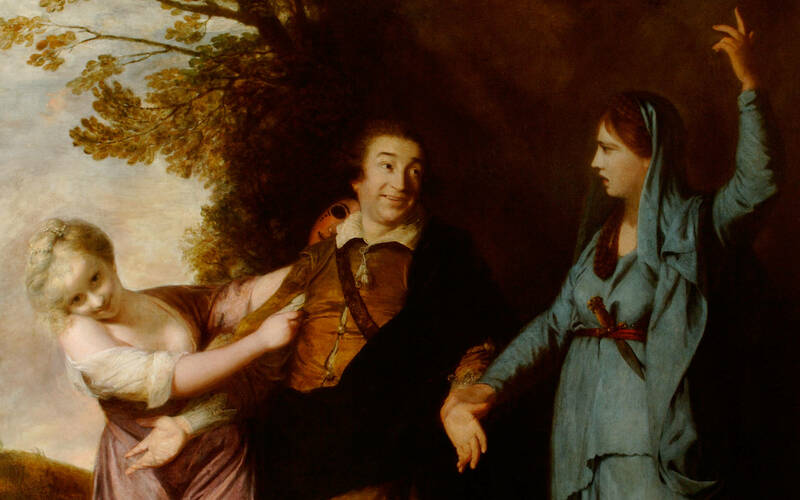 This painting is a masterpiece of self-promotion by its subject, David Garrick (1717- 1779), the most famous English actor of the eighteenth century, and a complex statement about Reynolds’s abilities and ambitions as an artist. Admired equally in both comic and tragic roles, Garrick introduced a more naturalistic and expressive style of acting that transformed the European stage. He also wrote plays and ran the Drury Lane theatre. 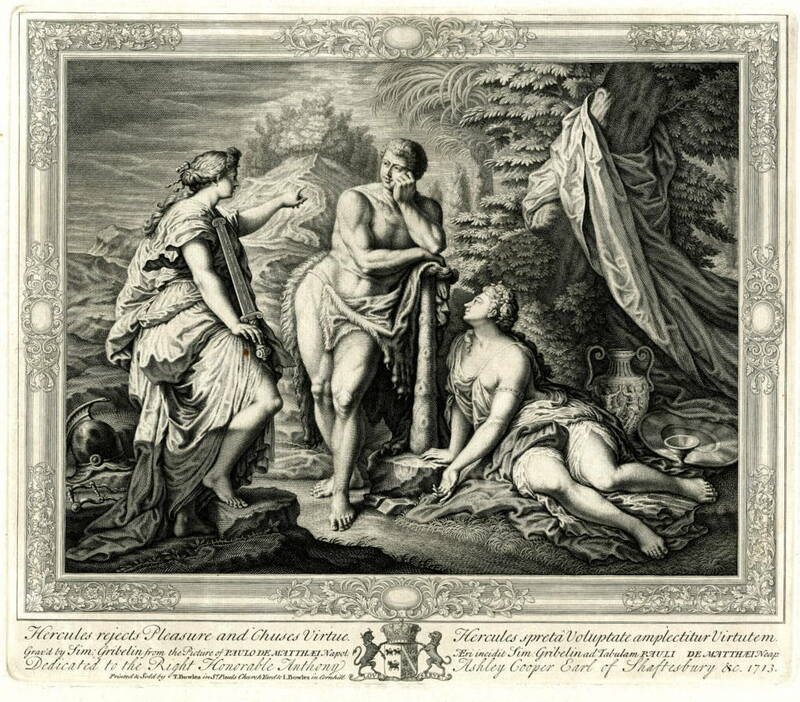 Reynolds depicts Garrick choosing between the charms of Thalia, the classical muse of Comedy and Melpomene, the muse of Tragedy. Garrick is laughingly yielding to Comedy, with whose limbs his overlap. Their animated features (look at Garrick’s expressive eyebrows) contrast with the more mask-like profile of Melpomene. Comedy looks knowingly out at us. The figure demonstrates Reynolds’s mastery of the soft style of Correggio (1489-1534) and the fluidity of Rococo painting. The light falls irregularly across her face and body, picking out the plumpness of her cheeks, breast and upper arm. The figure of Tragedy is strong and stiff, more like the work of Guido Reni (1575-1642) or the newly fashionable Neo-classical style. Her declamatory gesture looks back to an old fashioned style of acting from which Garrick moves away. This work plays with the boundaries between portraiture and narrative painting and between life, allegory and theatre. It is a mock-heroic reworking of the story of the Choice of Hercules, found in ancient Greek and Latin. Horace Walpole mentioned that it was Garrick’s idea to use this conceit for the painting. 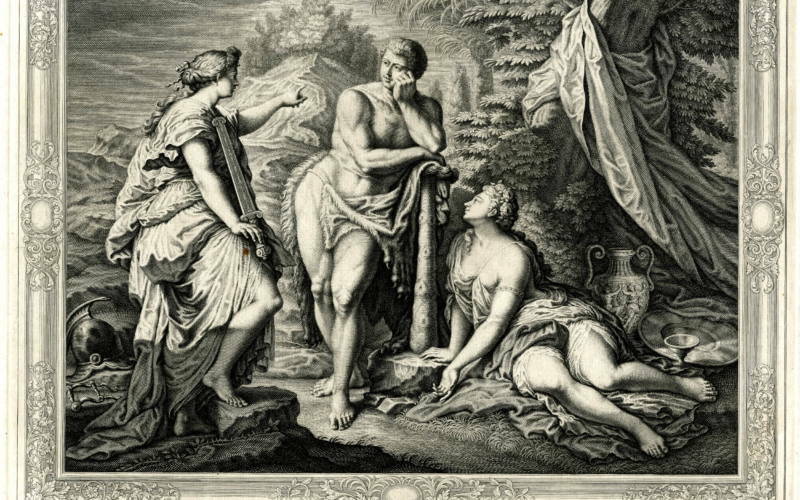 The demigod Hercules had to choose between Virtue and Pleasure, eventually taking the difficult but honourable path of Virtue. The subject was depicted by several artists and widely known and discussed in 18th-century Britain. 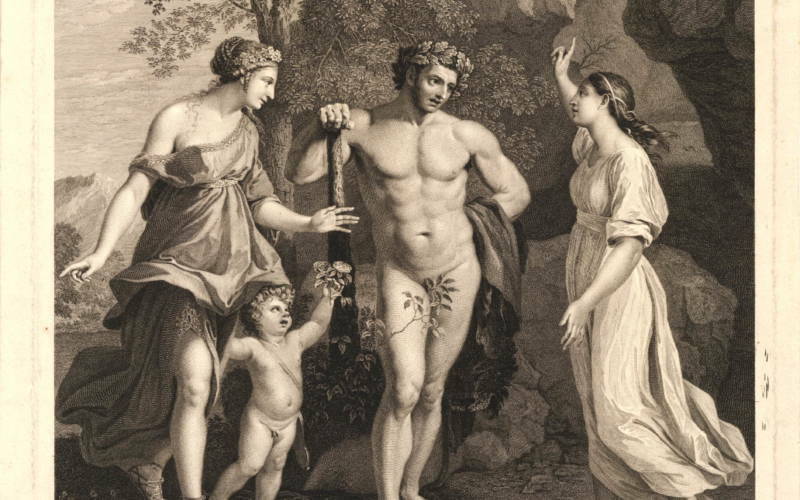 The contrast between Hercules’ idealising torso and Garrick’s belly, pressing against the buttons of his doublet, enforces the sense of Garrick’s all too human weakness. 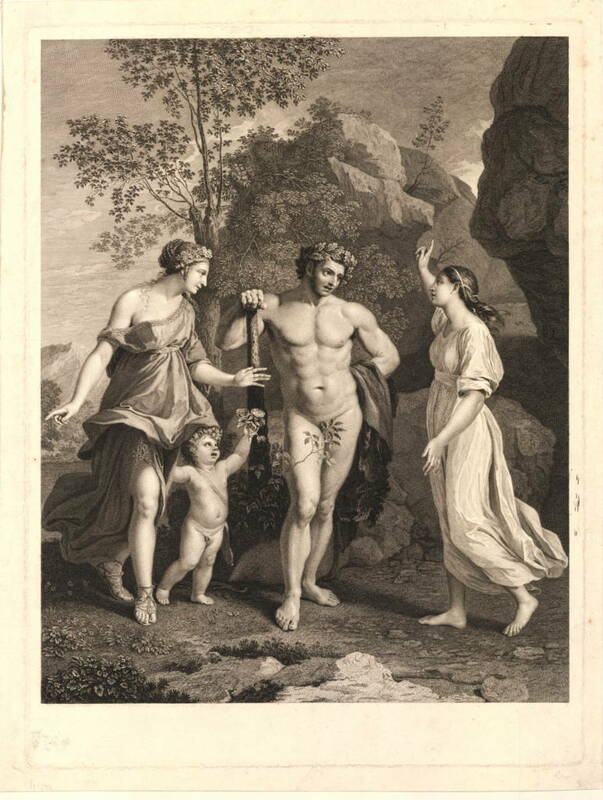 This painting quickly became famous and was reproduced in at least 14 mezzotint prints, including a version that a friend of Garrick reported hanging ‘in every street’ in Paris.